Townsend Labs Sphere L22 sets new standards in microphone modeling technology, delivering the real three-dimensional characteristics of the ..
Townsend Labs Sphere L22 sets new standards in microphone modeling technology, delivering the real three-dimensional characteristics of the most sought-after microphones ever produced. 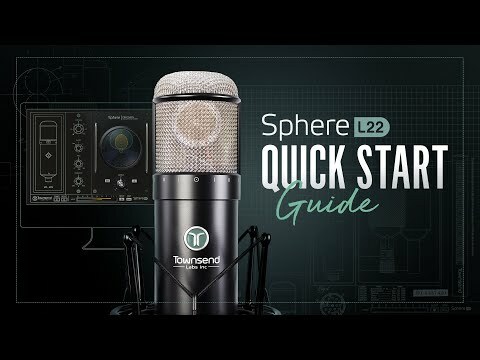 The Sphere system comes shipped with a dual channel, large-diaphragm microphone and the Sphere Plug-In, allowing you to run realtime processing with Universal Audio hardware as part of a UAD system, or in any regular DAW system. 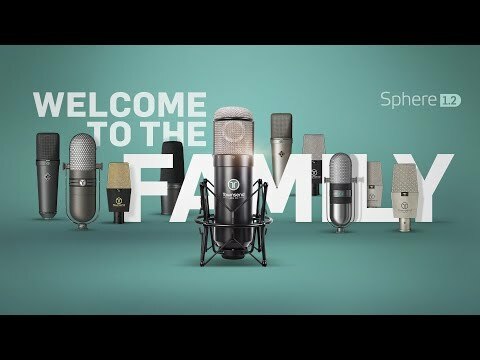 Sphere sets new standards in microphone modeling technology, delivering the real three-dimensional characteristics of the most sought-after microphones ever produced. With Universal Audio Apollo, achieve extremely low latency (approx. 1.6ms round trip at 96kHz) for guaranteed real-time performance. Sphere also supports native AAX, VST and AU. 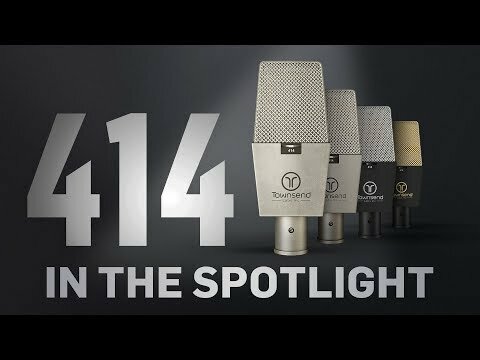 Access some of the most prized microphones of all time, including a 47 (with VF14 tube), a 67, an M49, and a C12, all from one system, and sculpt the tone of your recording - even after tracking! Sphere Core plug-in – accurately models a wide range of the most sought-after microphones in the world. Re-Mic technology – allows the user to change the mic type and polar pattern even after tracking. New patented features – including Off-Axis Correction, which can produce more accurate polar patterns for reduced bleed, room coloration, and feedback. Supports a wide range of plug-in formats – including UAD, VST2, VST3, Audio Units, and AAX Native on Mac and Windows. Voucher included for free UAD Sphere plug-in. The Sphere system consists of a high precision, dual channel microphone, custom designed to capture the three-dimensional soundfield with exacting detail. Manufactured to extremely tight tolerances, the L22 ensures that modeling is consistent and accurate. When paired with the included Sphere plug-in (UAD, VST, AU, AAX Native), you can accurately model the response of a wide range of mics, including transient response, harmonics, proximity effect and three-dimensional polar response. Having a two-channel microphone makes it possible to capture directional and distance information from the soundfield, which allows the DSP algorithms to reconstruct the three-dimensional response of some of the most iconic microphones in recording history. No other microphone system on the market offers this level of control over your recordings! Dual Mode in the Sphere plug-in makes possible phase-coherent mixing of multiple virtual mic models from the same physical microphone, before or after tracking. It's also possible to adjust the relative phase alignment of the two mics with the Align control. With just one Sphere L22 mic it’s possible to make coincident stereo recordings, and even have different mic models on the left and right channels, using the Sphere 180 plug-in. Virtually rotate the axis of the mic to give a more off-axis sound before or after tracking. Create more accurate polar patterns to reduce bleed, room coloration, and susceptibility of feedback before or after tracking. Compatible plug-in host application (DAW) software supporting AAX, VST2, VST3, AU or UAD.